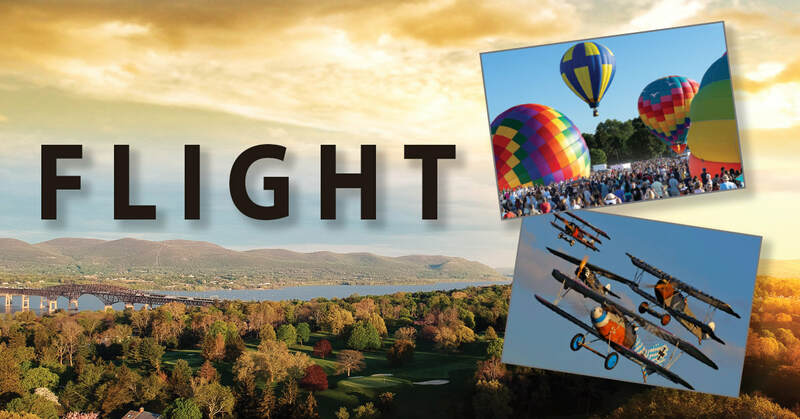 A presentation of music and pictures will showcase flying in the Hudson Valley, featuring Rhinebeck Aerodrome, the Balloon Festival, and more. Guest artist Kimberly Kay will narrate “Flight, the Story of Wilbur and Orville Wright” as told by their sister. Kimberly Kay is known to radio listeners throughout the Hudson Valley where she spent 20 years waking them up with a laugh on some five different stations during the course of her career. She began as an actress right after college and had a variety of television roles on The Guiding Light, Ryan’s Hope, As the World Turns, Cosby, Roseanne, Kate and Allie, and L.A. Law. For the past few years, Kimberly has returned to her roots and first love, acting. She can be seen in recent movies including The Post, Oceans 8, and on the TV series Bull, Instinct and Quantico. Kimberly has flying in her blood. Her grandfather Paul Emmons was the Chief Aeronautical Engineer for Bell Aircrafts and designed the Bell X-1 and Osprey. He was a close friend and flying partner with Chuck Yeager.